The Elmbrook School District in Wisconsin was found guilty of violating the Constitutional separation of church and state by a federal appeals court on July 23. The ruling by a 10-judge panel reversed a previous one by a three-judge panel that ruled holding the graduation in church was not promoting any religion. The court's decision came after a lawsuit from the Washington, D.C.-based rights group Americans United for Separation for Church and State (AU). The suit was filed on behalf of nine unnamed plaintiffs in 2009, according to the Milwaukee Journal Sentinel, directly after the original ruling to allow it. "The decision upholds the separation of church and state, it upholds the Constitution," said attorney and associate legal director for AU. "It ensures the students in Wisconsin will not be forced to enter an intensely religious environment as the price of attending their own high school graduation, a seminal event in their lives." Elmbrook's largest high schools, Brookfield East and Brookfield Central, both held their graduation ceremonies in churches for most of the early 2000s. 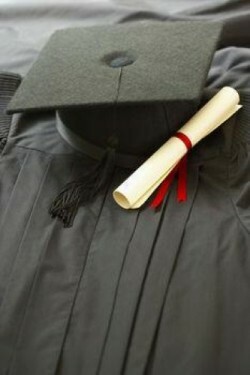 By 2010, both schools moved their ceremonies to another location, but the lawsuit still continued for the past two years. Clearly, with long and involved cases that go as high as the federal court, litigations can be complicated. 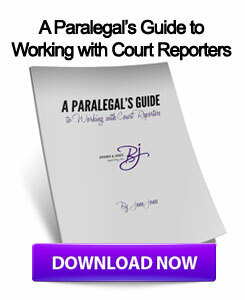 This may put an extra importance on the role of the deposition reporter to provide accurate and detailed transcripts. Other lawyers in similar cases should consult Wisconsin court reporters who not only provide deposition transcripts, but can also provide video court reporting services to ensure they have the most accurate information during trials. This entry was posted on Friday, July 27th, 2012 at 10:05 am	and is filed under All Posts, Wisconsin Legal. You can follow any responses to this entry through the RSS 2.0 feed. You can skip to the end and leave a response. Pinging is currently not allowed.